Introducing Aqua Cville, Charlottesville’s only hand car wash. Located next to Bodo’s Bagels & Barracks Road Shopping Center. 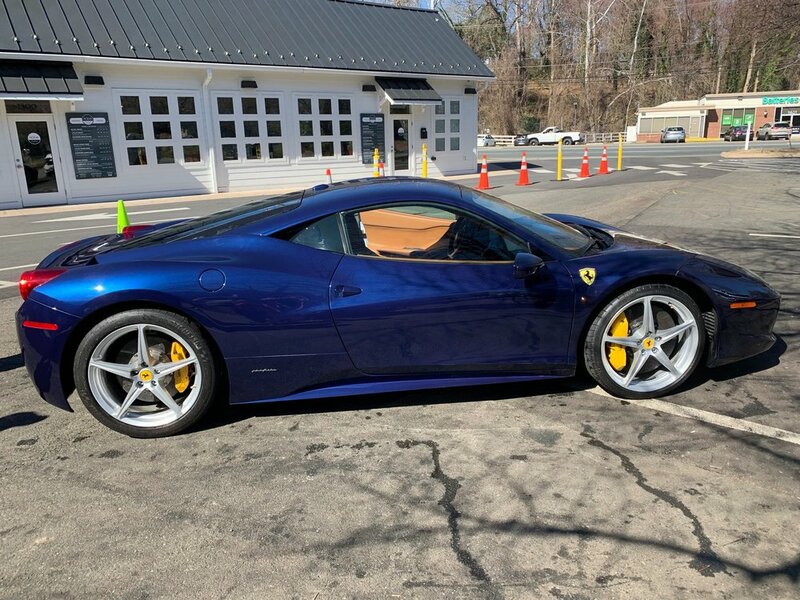 An Interior Detail that includes: Hand Wash, Compressed Air Blowout & Vacuum, Rubber Mat Wash, Interior Shampoo, Shine & Wipedown, Leather Conditioner, Windows, Tire & Wheel Shine. Appointments Recommended. Start with a Basic Detail. Add: Exterior Detail, Wheel Detail, Chrome & Trim, Carnauba Cream Hand Wax (+20 for High Gloss Wax). Appointments Recommended. Start with a Basic +Plus Detail. Add Malco's 3-step EPIC Paint Correction System: 1) Correction Compound 2) Finishing Polish 3) Silicone & Carnauba High Gloss Wax. Appointments Recommended. Unlimited +Plus Hand Wash (Mon-Thu only). 10% discount upgrades. Free drip coffee. Bulk vehicle discounts. Weekend washes extra. Unlimited +Plus Hand Wash. 10% discount upgrades. Free drip coffee. Bulk vehicle discounts. We offer customers the ability to pay for their membership on an annual basis for a 15% savings. Inquire for pricing in-store. Call (434) 202–8676, or book online. Reservations recommended for all detail appointments. Be the first to hear about discounts, coupons & promotions. 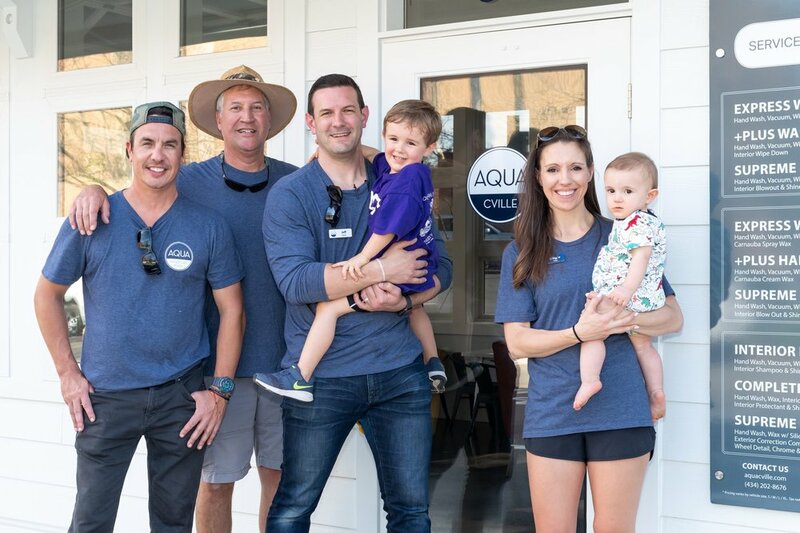 Welcome to Aqua Cville! Ginger and I are so excited to have the opportunity to serve you and help keep your ride looking clean and fresh. As local small business owners, we realize that you have a choice in how you spend your time and hard-earned money. Because of that, we believe that we must consistently earn your business and we promise to keep that in mind when we are serving you. Open since April 2018, (and following a model laid out by my brother, Kevin) we have built Cville’s only commercial hand car wash with a focus on exceptional customer service. We are, also, excited to set the example for our two boys that values such as respect, politeness and courtesy, coupled with hard work ethic and dedication can build something special for our community. Why work at Aqua Cville? Competitive wages. Tips. Paid bi-weekly. Fanstastic environment. Work outdoors. Cool cars! Sign up for our mailing list to be the first to hear about upcoming promotions and discounts! At Aqua Cville, we believe that a clean car, truck or SUV is more than just good for the long term benefits of the vehicle itself. It is a reflection of its owner, the way they perceive themselves and hope to be perceived by others.